The ELHO front mounted mowers feature the same cutter bar as ELHO’s mower conditioners, a durable structure and excellent mowing results. This is a low-priced, vertically transported mowing option. In addition to the hydraulic lift of the mower head, the machine is equipped with the same durable cutter bars, mowing discs and slide shoes as ELHO’s mower conditioners. 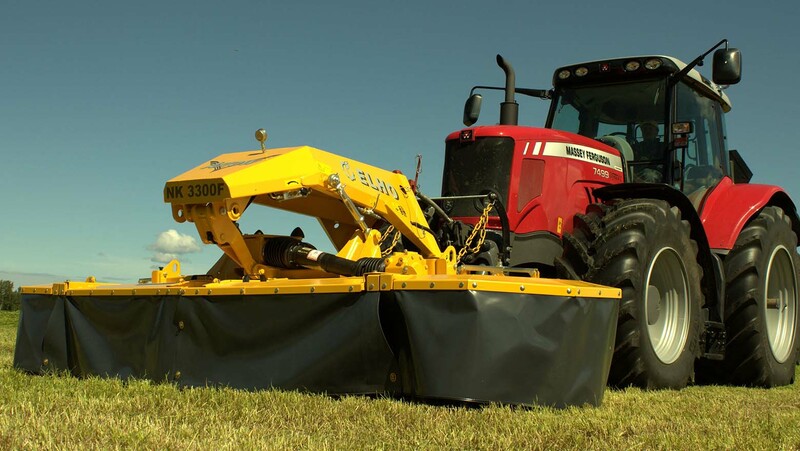 Thanks to its versatility, the machine is suitable for forage mowing and landscape care. 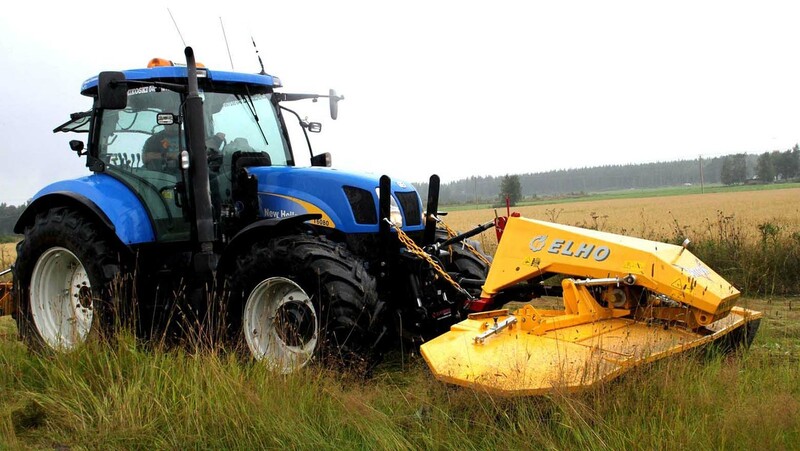 ELHO’s mower range also includes the NK 8000 Delta double mower. Two models, NK 3000 Front and the wider NK 3300 Front, fit a tractor’s front lift device. The latter model is recommended to complement the NK 8000 Delta. The NK Delta and NK Front models come with the HydroBalance suspension as standard.